When to Refinish, Repair or Replace Granite Countertops | Gold Eagle Co. 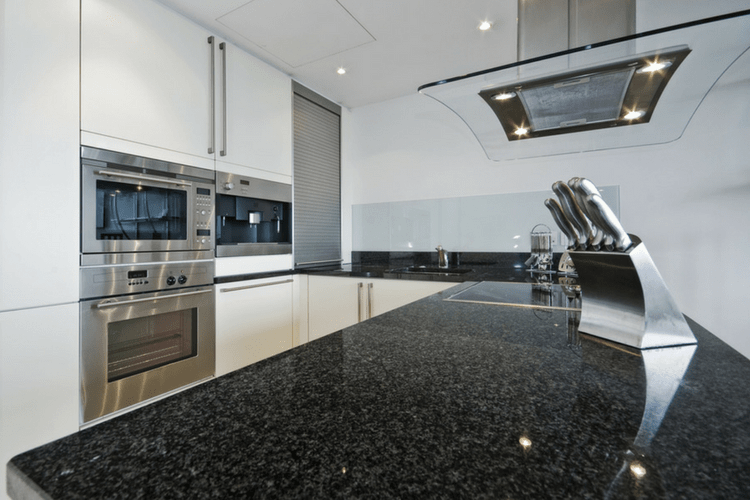 Your granite countertops have been the centerpiece of your kitchen for years, but lately they have looked dull and scratched, even after you have cleaned and polished them. In that case, you need to take more drastic action to restore the look of your granite. You probably need to reapply sealant to your countertops. This process requires more work than simple polishing, but once done, can make your counters look like new. If resealing your counters does not do the trick, you have other creative options to save the look of your kitchen. When regular cleaning and polishing do not restore the look of your granite countertops, you may need to reseal the surface. Experts recommend doing a simple test to determine if resealing is necessary. You should sprinkle a few drops of water onto your counter surfaces. Wait a few minutes and then check to see if the water has dissolved or if any of it has been absorbed into the sealant. If the water has penetrated the surface at all, you need to either reseal the surface yourself or have the professionals do it. Otherwise, the actual granite beneath the sealant will continue to be stained and damaged. Experts recommend purchasing an impregnating stone sealer. This sealer type will penetrate deeply into the granite and will repel stains while keeping out bacteria. It will also simplify daily cleaning process for you since food and beverages will wipe off easily. Before applying the sealer, you will need to clean the countertops thoroughly using a cleaner formulated for granite. Then you will need to let the countertops completely dry before using the sealant. Using a clean lint-free cloth, you will apply the sealer onto the counter, making certain that you cover the edges and backsplashes. Do not use too much sealer: you do not want it to drip or pool. Remember, you will need to allow the first coat to completely dry before applying a second coat of the sealant. In 24 hours, you can resume using your newly-gleaming counters. Experts recommend that you have your granite counters professionally resealed every two to four years as well. This process will probably cost between $300 – $400 but should ensure that your counters will last for decades. You may be able to repair scratches and small “dings” in your granite counters by filling them with color-matching epoxy or resin that can be purchased at a home improvement store or kitchen remodeling business. After you apply the epoxy or resin, you should allow it to dry and then sand and reseal the counter area. Larger cracks will probably require professionals to fix. Even if you take excellent care of your granite countertops, after fifteen years or so, polishing and resealing may not completely restore their surface. You may need to consider having them replaced. That option will be expensive and averages between $45 and $200 per square foot. If you do not want to spend that type of cash, you will need to get creative with refinishing materials. Some people paint over granite. Doing so can be challenging and requires careful preparation. You need to rough up the surface of the countertops and apply an adhesion primer. The top coat should be an oil-based paint. For the best results, you should consult with an expert at a home improvement or paint store to find the most effective paint type. You may also consider adding a laminate to the top of your counters, a colorful and relatively inexpensive way to make your countertops look new again. This process involves removing your counters, cleaning them, and sanding them lightly. You would then apply a laminate glue and then the laminate itself. If that process sounds too hard for your particular DIY skills, you can hire someone to do the job for you. When compared to the price of replacement granite, professionally installed laminate tops are a bargain. You can buy a large laminate sheet for under $50 at some stores. If nothing but granite will do, you can save money on new granite countertops by shopping online for the best bargain. You should look for discontinued styles, buy wholesale, and look for remnants. Experts also recommend buying from a local supplier to save on shipping. If you keep an open mind about the color, you may also find a bargain. Any rare hue will cost more money. With regular care, your granite countertops should last for at least 15 years if not much longer. Once cleaning and polishing no longer restore the surface, you probably need to have the countertops resealed. Once that process no longer works, you will need to look into repair or other, more drastic, measures. If your granite fails you after a few decades, you do have other options rather than complete replacement. Painting or adding a laminate top can give your kitchen a fresh look without the expense of replacement granite. 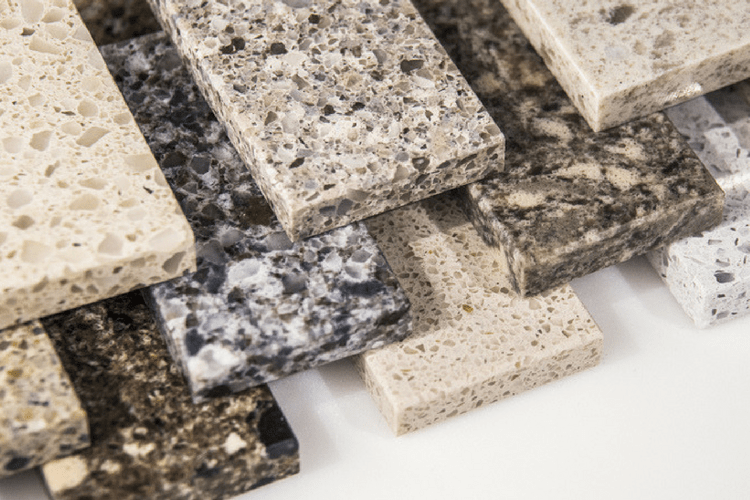 If you do want new granite, you can find ways to reduce that cost as well. Cleaning and resealing is not that big of a deal. Cleaner and sealant can be purchased at Home Depot, lowe’s, etc. I’m almost 75 years old and have no problem doing this myself. Instructions are on bottles. I use SCI products. Easy and inexpensive to do.